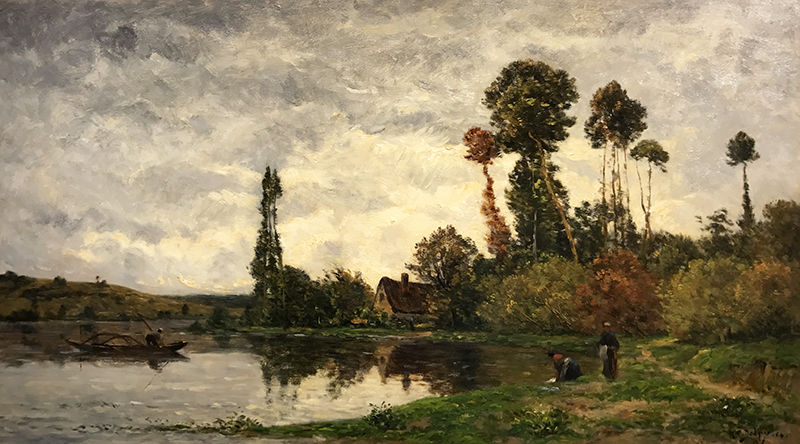 Hippolyte Camille Delpy's subjects and method were similar to those of his teacher, the landscape painter Charles François Daubigny, whom he visited frequently in Auvers. Daubigny helped the young Delpy to gain admission to Corot's studio. Delpy began exhibiting at the Paris Salon in 1869, winning particular recognition there in the years 1881, 1884, 1889 and 1900. He also exhibited at the Exposition Universelle of 1900. Currently there are no available Hippolyte Camille Delphy paintings for sale at the Mark Murray Gallery. Please contact us if you are interested in selling your Hippolyte Camille Delpy paintings or other artwork from the 19th century and early 20th century.